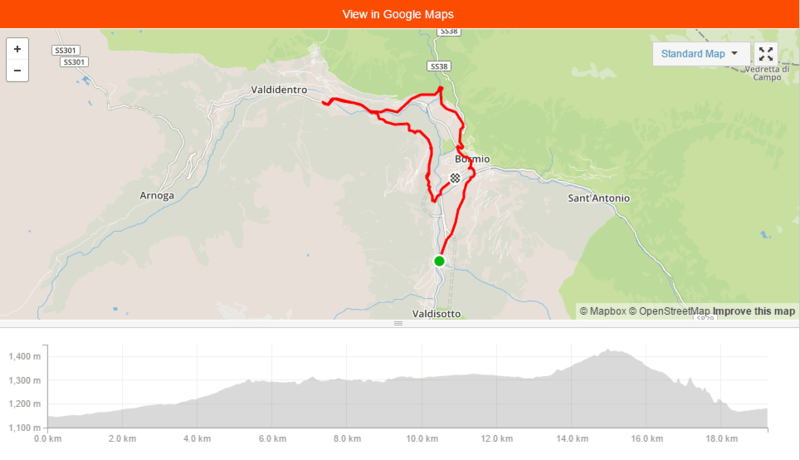 Cyclopaat constructed his own Giro d’Italia 2015 – on this page, you can find the links to the reports of part 2, the stages from Valdisotto. As we will be leaving very early tomorrow morning, for the final “Swiss” stage of this Giro, I just flexed the muscles a bit around Bormio. I headed towards Valdidentro, where the Alpen Hotel is located, our base camp in 2011. After that, I returned via Le Motte, back to Santa Lucia and Bormio, were we then walked around town a bit, did some shopping and returned to the apartment. So, if all goes well, I hope to climb Gotthard, Furka and Grimsel tomorrow – a nearly 100 kilometer ride, including all descents, with a total elevation gain of of some 3,000 meters. As I strained a muscle in my back while preparing the transfer, I was afraid I might have to spend a couple of days in the passenger’s seat of the car. Tempting as that actually sounded at the time, I was not really amused – as I have built up some experience since my crashes in 2012 and 2013, I started taking NSAID’s and applied ice packs / heat patches. 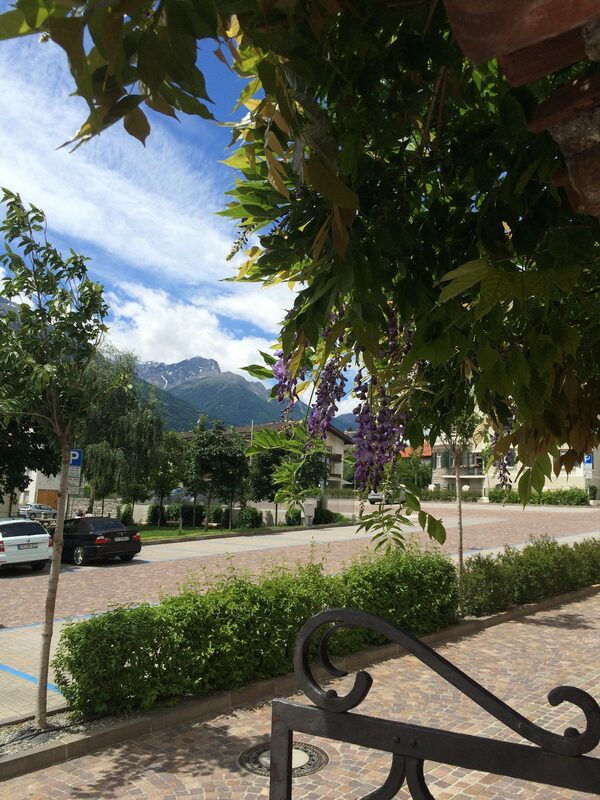 However, I knew that the “transfer stage” to Bormio was a no go – apart from the inability to walk or stand straight, the only chance I had that I was going to be able to cycle again the next week, was to rest and (try to) relax. So, no Mendola, Palade or Val Martello, just enjoying the views from within the car. The ride was actually enjoyable and not very eventful. We had a long(er) lunch stop in Silandro, where I had originally planned our base camp for part two. Paula then knocked me out and put me blindfolded in the back of the car, as we were about to pass the Stelvio. By the time we arrived in Valdisotto, I was pleased again with the apartment and the surroundings, albeit not as stunning as in Corvara.